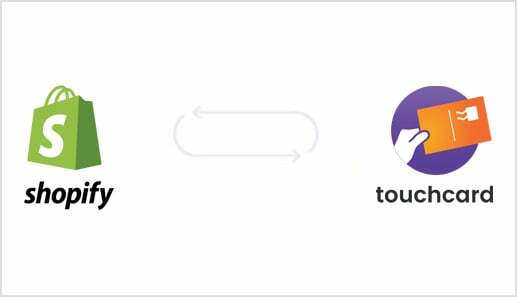 Since Touchcard is a postcard-sending automation app, the execution of the campaign is actually pretty simple. You just set it up and watch the revenue come in. That said, there are a few things to consider when you’re setting it up, like your goals / targets, your budget, and the actual card design itself. For more on graphic and card design best practices, check out this article we wrote for you or skip to the bottom of this page. Generally, the goal for any Touchcard campaign is to increase the customer lifetime value of all your new customers by stimulating a repeat buy. Since the target is new customers and the aim is to get them back in your store, the first thing you need to think about is how many postcards you need. Postcards are sent to any new customer who makes their first purchase on your store, so a good indicator of how many postcards you need is how many new customers you had last month. If your business is growing, chances are you want to subscribe to at least that many postcards. If you run out of postcards because your new customer base is growing too quickly, you can always increase your subscription to add more cards in any given month. That said, depending on your budget and the cost of your service or merchandise, you may want to limit the number of postcards that go out and target those high-value customers who are more likely to give you a good return. Can I target specific customers? What filters and triggers can I use? Touchcard has two filters to help you hone in on your high-value customers. 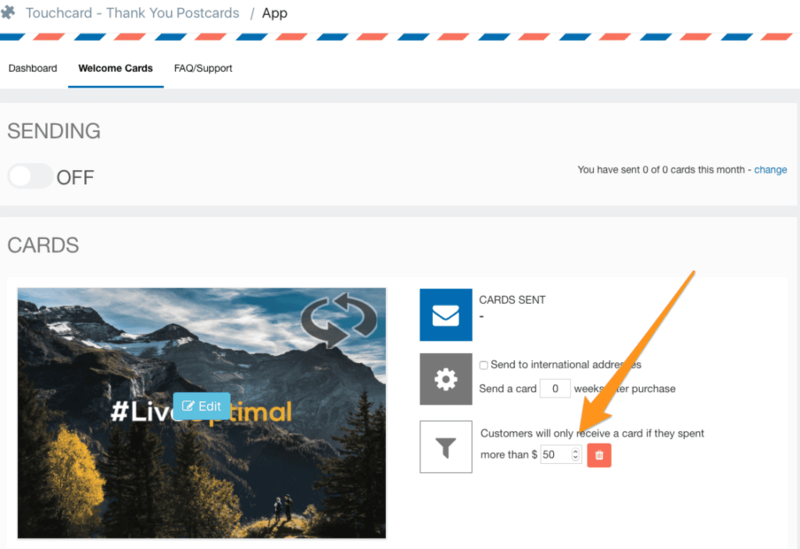 The first allows you to filter your postcard recipients by minimum purchase. So, if you think it’s only worthwhile to re-engage high-value customers who spent, say, $50 or more at your store, you can specifically filter out anyone who spent less than that. The second allows you to send to international customers (the default is restricted to the US). How should I design my card? If you don’t know where to begin and you need general design advice, check out this help page we created for you. If you feel confident about your design skills or have access to a designer, and you’re looking for the specs and templates, this page is for you. And finally, if you’ve got the specs and are feeling inspired, you can jump to this list of awesome, free resources.